Magnificently remodeled Estate. An exquisite blend of old-world Tudor architecture and French Country design. 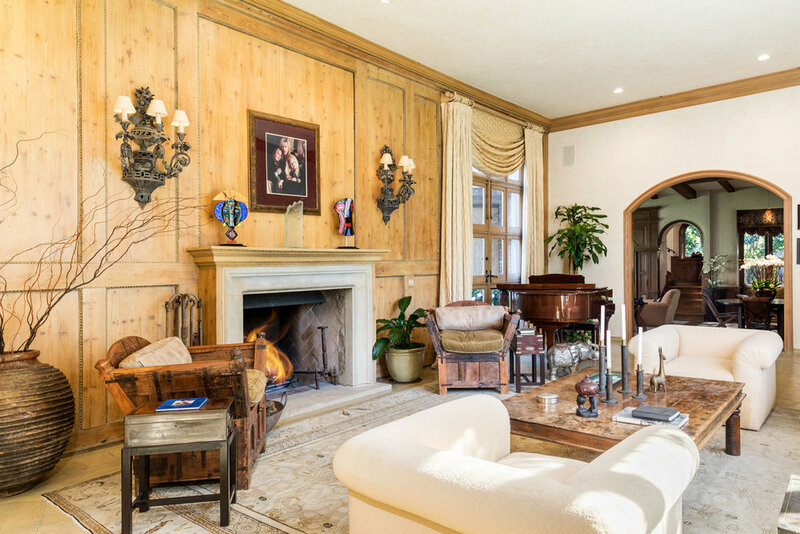 Located among the most prestigious estates north of Sunset Boulevard in Beverly Hills. Grand scale public rooms with hand-hewn herringbone floors, intricate hand carved wood paneling and leaded glass windows throughout. Formal Dining Room perfect for large gatherings. Step down Living Room with oversized antique fireplace. Media room with drop down screen and entertainer’s bar. Separate family room with additional bar. Large eat-in kitchen, billiard room, gym and private office. Gracious master suite with gorgeous vaulted and beamed ceilings, dual marble baths and closets. There are four additional bedroom suites and a main floor apartment. Stunning one bedroom, two bath Guest House. Magnificent rolling lawns on approximately 1.25 acres. Tennis court, lagoon pool, spa and waterfalls create the perfect resort-like living. Rare street to street lot with parking for up to 20 cars. 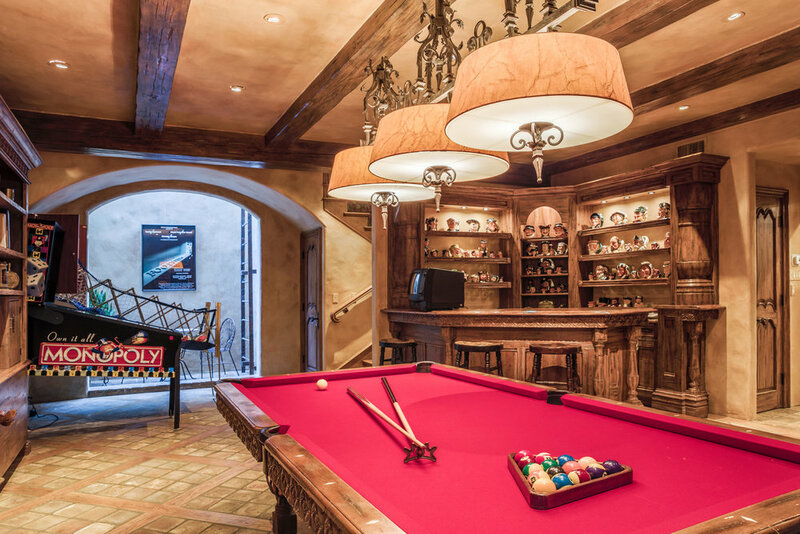 Live in L.A.’s most exclusive residential area, blocks from the famous Beverly Hills Hotel. This restored 1923 compound, the former home of Harry Warner, founder of Warner Bros. Studios, offers a rich and enchanting lifestyle and the best of Hollywood glamour and history.